Ever since Caitlyn Jenner bashed ex-wife Kris Jenner in her tell-all memoir, she has been feuding with her stepdaughter Khloe Kardashian. And, apparently, the fact that Kardashian is having her first child isn’t changing the situation. In a new interview, the 33-year-old implied that she would not allow Jenner near her baby. 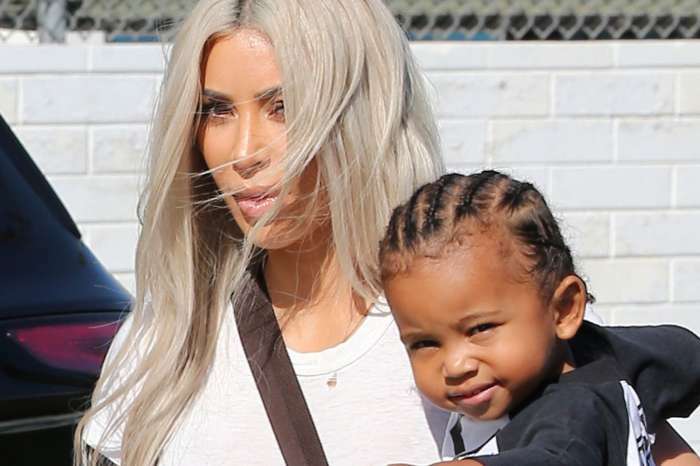 Kardashian recently appeared on the British TV show Lorraine, and when correspondent Ross King asked her if having a child would change anything between her and Jenner, she responded that becoming a mom won’t mend anything. “I don’t think it affects anything with Caitlyn. Things are just as they are,” said Kardashian. The reality star is currently seven months pregnant with her boyfriend Tristan Thompson’s baby. Jenner has been open about her strained relationship with her step kids and recently told Piers Morgan that she’s “lost all relationship with them,” and added that she doesn’t talk to any of them anymore. Back in November, Jenner said that things had been pretty bad for her with the Kardashian side of the family over the past couple of years. The 68-year-old said that she hadn’t talked to Kim Kardashian for over a year and that they don’t want her in their lives. She added that they bashed her badly and it is hurtful when your kids do that. She does still talk with her biological daughters, Kylie and Kendall, but she didn’t appear in Kylie’s pregnancy video. However, she has met her new granddaughter, Stormi, and tweeted that it was amazing to be by her daughter’s side through the journey and she can’t wait to watch the beautiful baby grow. When it comes to the Kardashian family, things started going downhill for Jenner when she revealed her identity as a transgender woman back in April 2015. Two years later, things got even worse when she released her book The Secrets of My Life in which she claimed that her ex-wife and Khloe’s mom, Kris Jenner, was not supportive of her transition. When Caitlyn was Bruce, she was married to Kris from 1991 to 2015. As for Khloe, she also revealed in her interview that she had once briefly thought about having a baby via surrogacy, but it wasn’t something she really considered. However, when she did find out that she was pregnant, she was surprised, and it put so many things into perspective. She says she is happy that this is happening in her life and she is ready to be a mom. Kardashian also said that the timing is perfect, and she is excited about everything that is about to happen.